Spanish food is definitely our favourite. I swear we would live on Chorizo and Manchego if we could. 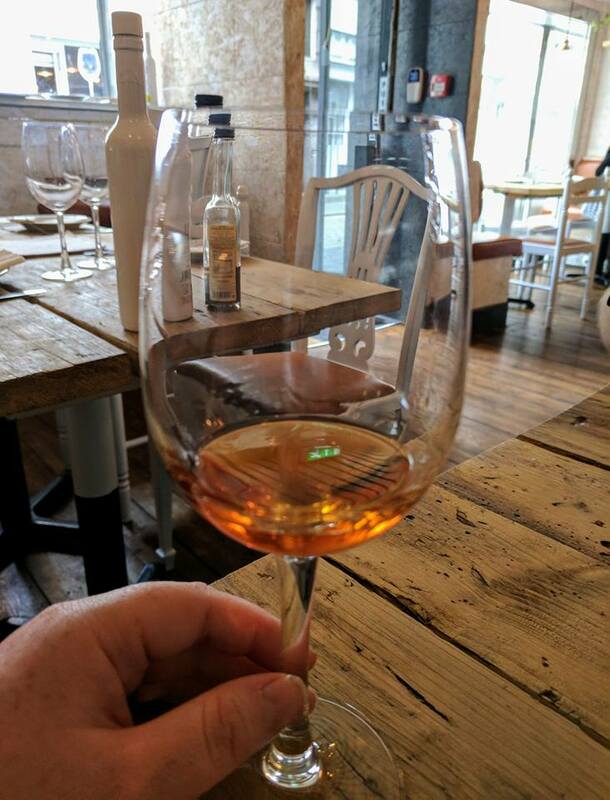 It is so frustrating that we have to drive all the way into Newcastle to stock up with anything decent and we try to do this as often as we can (check out La Casa Delicatessen in the Grainger Market for the best). 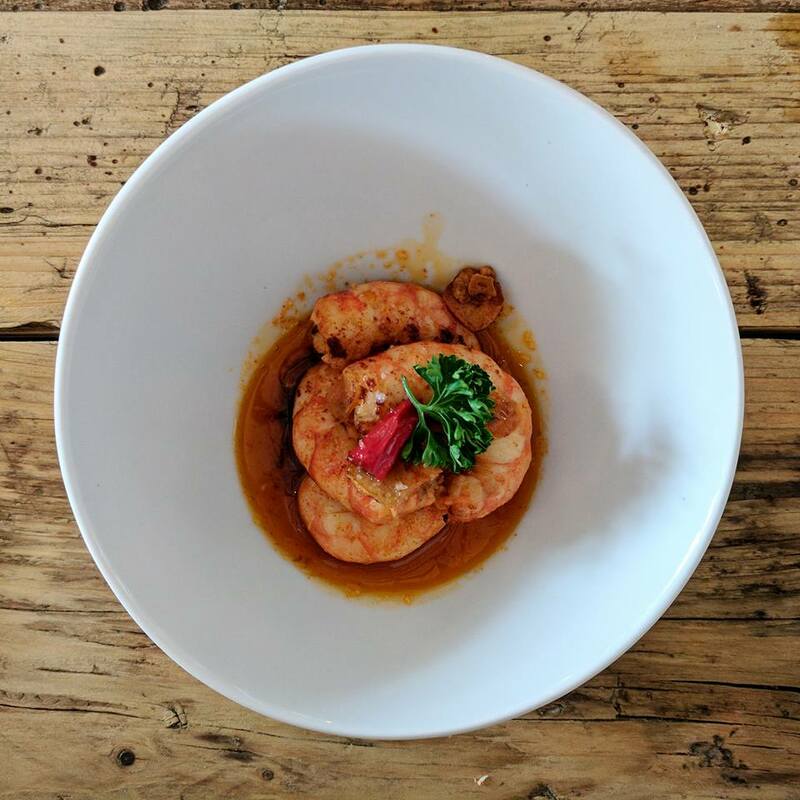 We love tapas restaurants and have heard lots of good things about Kaltur on High Bridge in Newcastle. I knew we'd have to pay them a visit ASAP so we headed over on Steve's next day off. 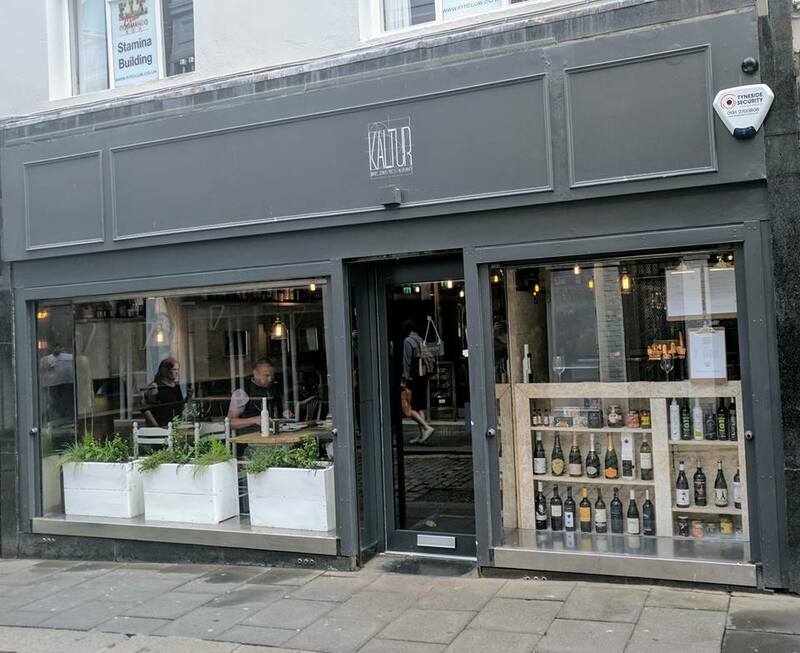 Kaltur have been distributing Spanish food around the UK since 2014 and their wine bar and tapas restaurant on High Bridge is their first in the UK. They're certainly in good company with my favourite hotel and coffee shop being just a hop, skip and a jump away. We rocked up midweek at lunchtime without a reservation and they were about half full. 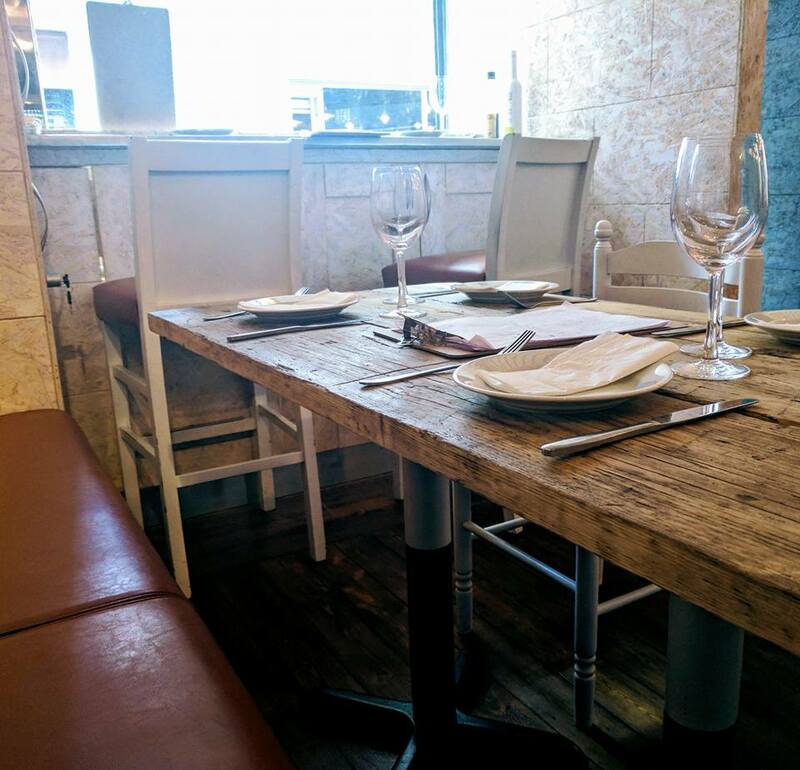 During our lunch four separate people popped in to make an evening reservation so if you're looking to dine here in the evening, booking is definitely recommended. 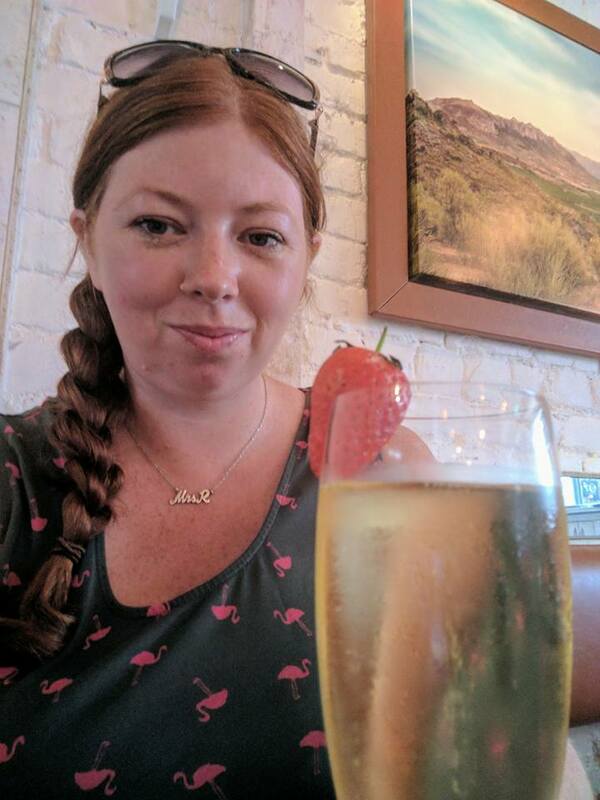 The drinks menu features lots of Spanish wine and sherries and I spied that glasses of Cava were just £4 - any excuse for something fizzy. 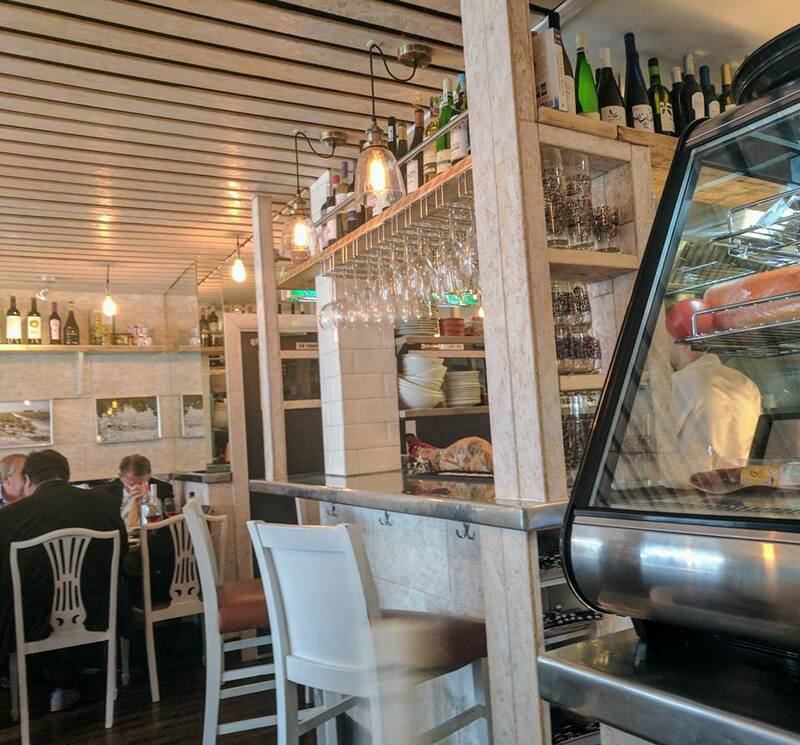 Kaltur is only small but I love the styling - there's a leg of Iberico ham on the counter which is hand-carved and served to customers and the open kitchen and wooden benches give the place a very homely feel. The front of house staff are superb and really do know their stuff. In fact they are probably the most knowledgeable staff I've encountered in a long time so you really can (and should) trust their recommendations. 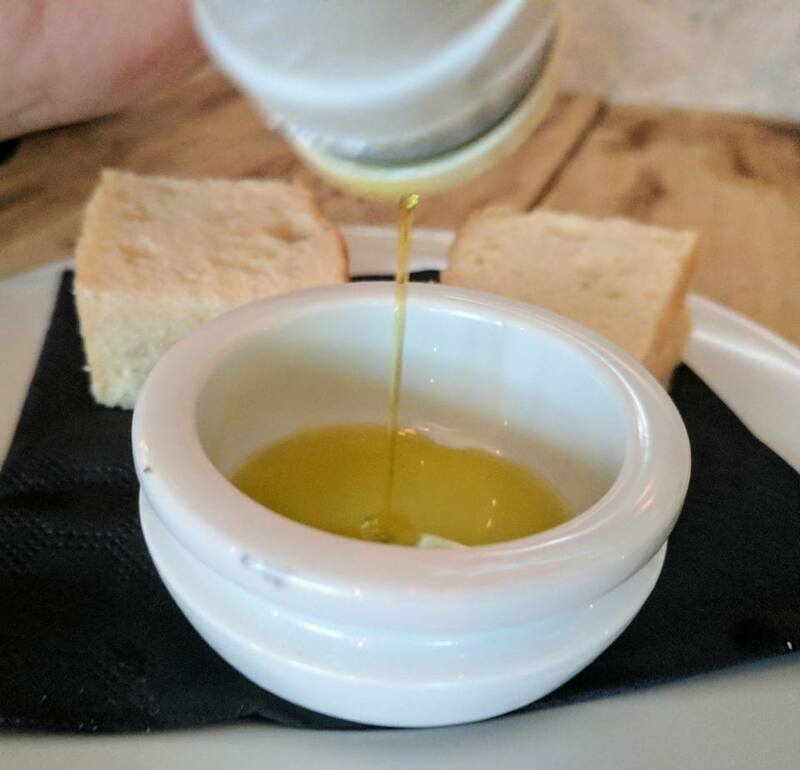 Freshly baked bread is served to your table as you peruse the menu. 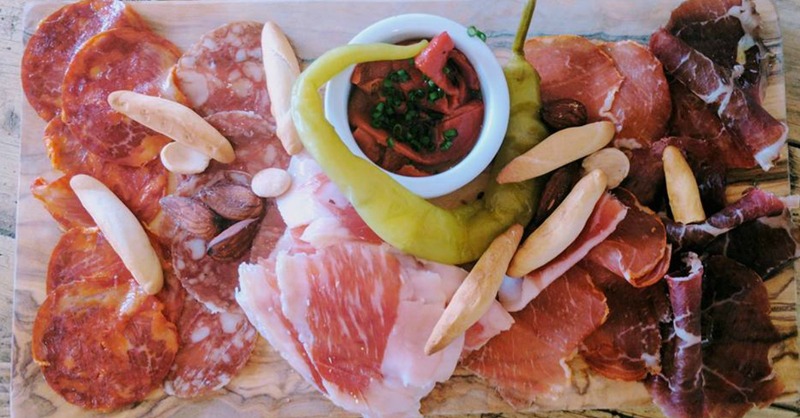 You can choose from a selction of small plates, sharing boards and larger main courses. The prices are super reasonable too. We selected a small Iberico and small cheese board to share (£8 each). 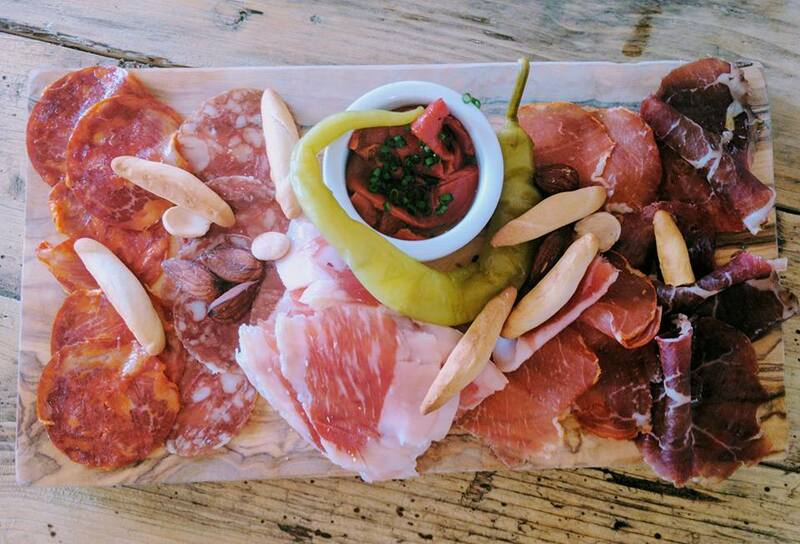 These really aren't just any old sharing boards - they are super special and really worth travelling into town for. 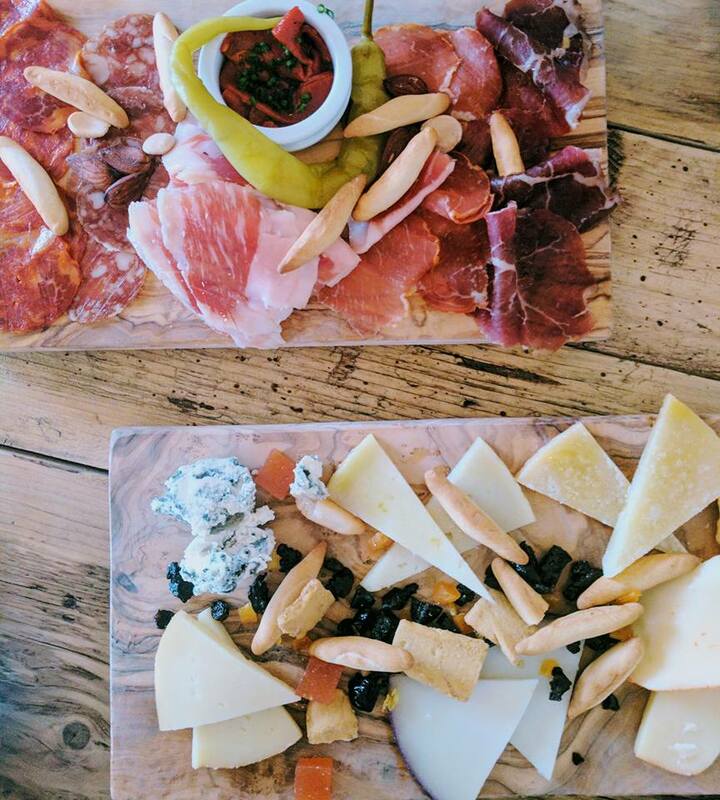 There are 4-5 selections per board and the staff can inform you which area of Spain every meat and cheese comes from and how it is made. For example the blue cheese (or Cabrales to give it it's proper name) is an Artisan cheese from rural Spain and is aged for 5 months in the natural caves here. It's really interesting to learn a little more about the food you're about to devour and it's production so if you'd like to know - just ask and the staff will happily oblige. Steve and I were in heaven with these platters. Steve really enjoyed the cured beef as it was something a little different but for me, it was all about the hand carved ham. So good! 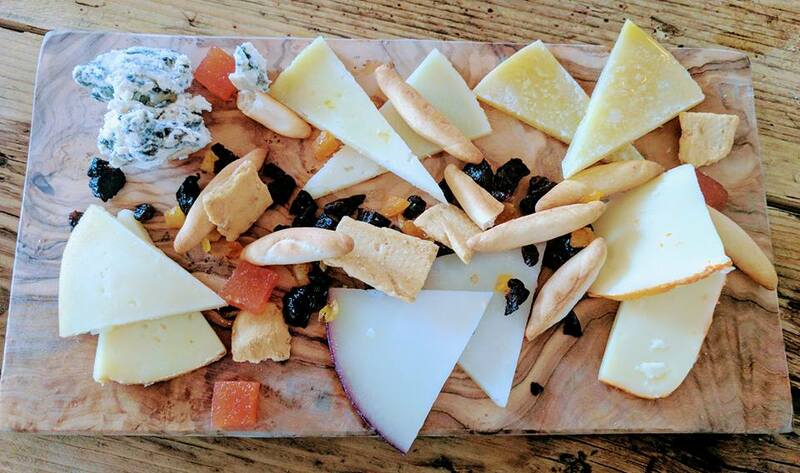 To be honest, these two boards and maybe some bread would have been enough for us for lunch but we're greedy and as usual, over-ordered. 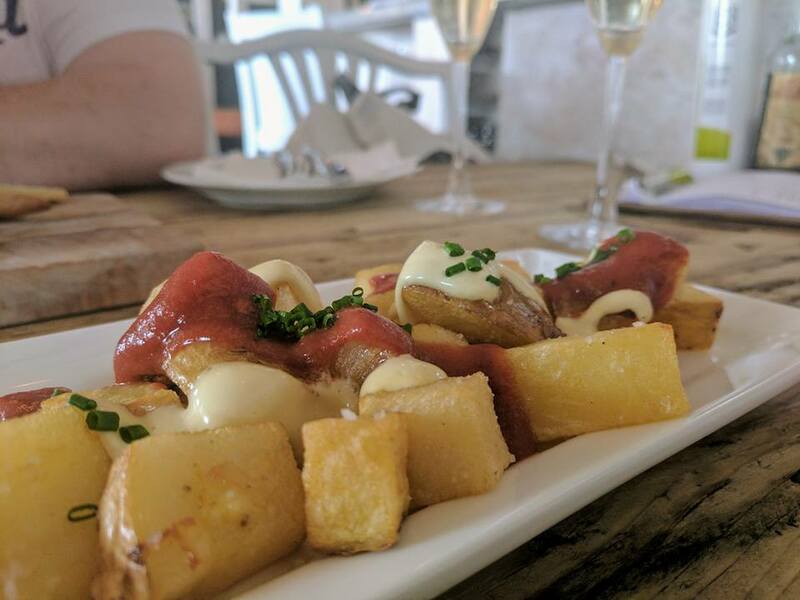 The patatas bravas are served with a homemade sauce which has a nice hint of Paprika (I think) to it. 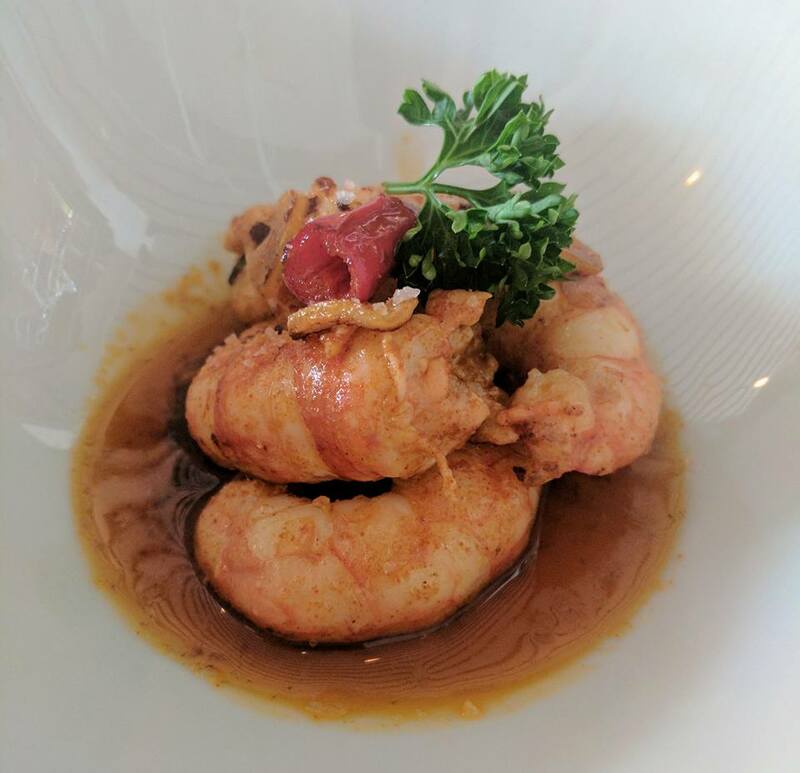 The King Prawns were stand-out too. Served in a tomato and chilli sauce they were plump & sweet - perfect in fact. We were offered more bread to mop up the sauce which was a nice gesture. The fantastic hospitality continued at the end of the meal with a complimentary sample of sweet Spanish wine which I will definitely order more of when we return for an evening meal. It was like Christmas in a glass. 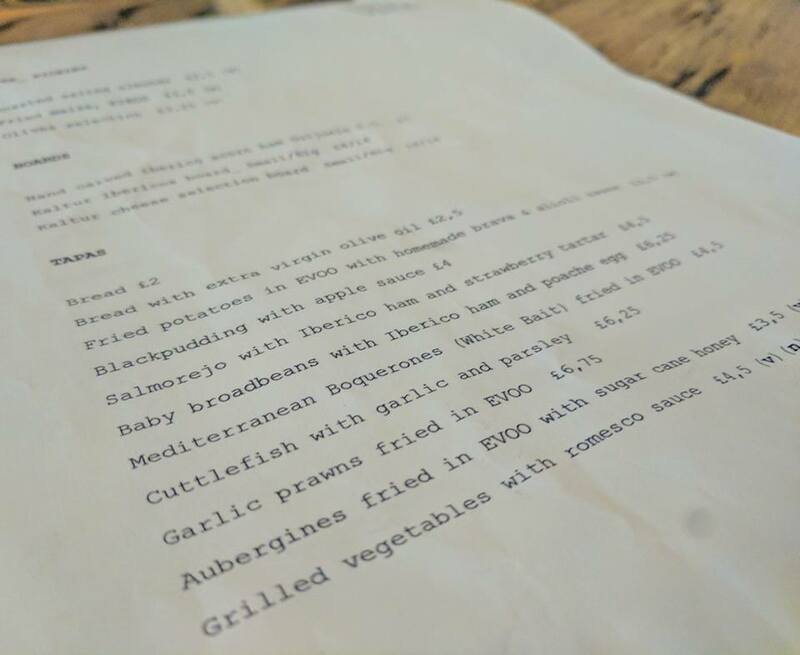 Our whole bill including alcohol was £36 for 2 people which considering the quality of the food we enjoyed is simply incredible value. As we left, all of the staff (including the chef) said goodbye which left us feeling like we we were leaving old friends and definitely makes a change from being ignored which is so often the case. The word about this gem of a restaurant is spreading and I've heard a few stories from people who have struggled to book a table so I'd highly recommend booking in advance to avoid disappointment. 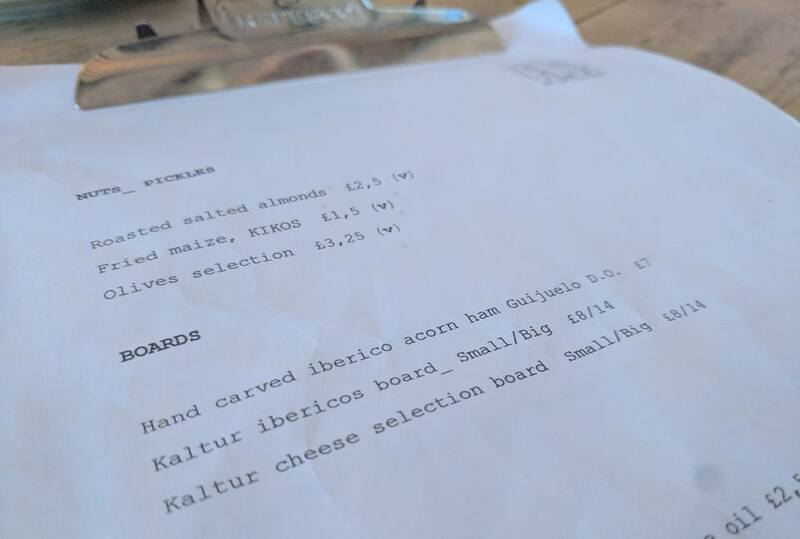 Our served mentioned that we should keep an eye on Kaltur's Instagram where they post weekend specials - I am gutted to have missed out on the aged Galician Beef which is cooked in the traditional Spanish way and placed in the centre of the table to share between friends. Sounds amazing! I've been waiting for this review since I saw your stories from there. As you know we have similar taste in food so I know I'm going to love it. I know if you praise somewhere then that's high praise indeed. I'm laughing at you with more giant prawns again! I can't wait to try here. So great we have their first restaurant. OMG I NEED to go here, the decor looks beautiful and wow the food! Love that there's another amazing place to go on High Bridge, it really is the place to be! PS LOOK AT THE SIZE OF THOSE PRAWNS!!!!! !